Several years ago someone dropped a scraggy skinny cat at my doorstep. He was obviously sick, but absolutely adorable. He had a personality that was out of this world, and it wasn't long before I loved him. We named him Woden, after the god, who in Norse mythology was the king of all the gods. For some reason, it just seemed to fit him and he answered to it right away. After medical treatment and a few months of proper nutrition, Woden appeared to thrive. Unfortunately, this did not last. He suddenly disappeared. Along with a couple of friends, I looked for him for three days. One evening when I was out yelling for him, he stumbled out from underneath a neighbor's house. Obviously disoriented, he couldn't walk straight. I mean he literally walked crooked with his neck bent at an odd angle, his eyes opened wide and staring. Back to the vet we went. He was diagnosed with feline immunodeficiency virus, commonly called by its acronym FIV. Woden was a lap cat. He always wanted to be in someone arms and loved every human he met. He loved to take baths in the bathtub! Because of his FIV diagnosis, I needed to find him an indoor home where he could be the only cat. Thankfully, I did. He went to live with an elderly man and woman in Lawrenceburg that thought he hung the moon. He was pampered and babied and slept in the bed with them. He was the king, and knew it. I went back to visit him several times in his new home and he never forgot me. He thrived in his new home and provided companionship to his humans for about four years. I received a call about a month ago and he wasn't doing well. He had lost weight and wasn't his spunky self. They took him to the vet and it was confirmed that he had a tumor in his stomach. He was humanely euthanized. Woden taught me a lot about life, about love. Sometimes you have to love them enough to let them go. In my case, I had to let him go to an indoor home. In his new owners' situation, when life became too painful for him they had to love him enough to let him go to the bridge, where all animals become healthy and young again. FIV used to be a death sentence for cats, but in recent years studies have proven that a FIV positive cat can live pain free for several years, but should be segregated from healthy cats. Feline immunodeficiency virus, or FIV, affects domesticated cats. In the same viral family as human immunodeficiency virus (HIV), as the name implies, this virus affects the immune system. The FIV parasite often lives silently within a cat's body causing no visible symptoms for years sometimes. FIV can be spread from one cat to another without the pet owner being aware. A cat with FIV that shows no detectable symptoms to the pet owner still suffers from a compromised immune system. This makes your cat much more likely to contract other infections and disease. 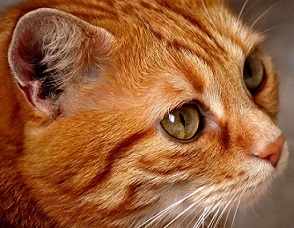 Spontaneous abortions in infected pregnant females; however, if the female cat carries kittens to full term, the mother's milk contains antibodies to fight the FIV and if the kittens nurse immediately, these can be passed along and prevent the kittens from becoming infected with the disease. Wounds that do not heal properly or in a timely manner. This can be a minor wound that appears to grow instead of shrink through healing. Some pet owners are concerned and rightly so that this disease may affect other pets or human children in the home. Scientists believe feline FIV cannot be transmitted to other species, including humans, thus the name "feline." 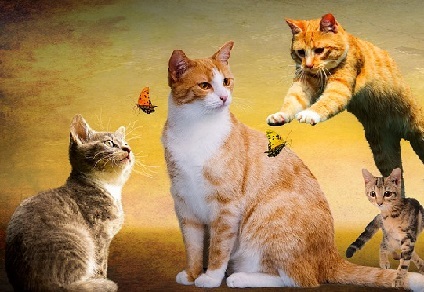 Furthermore, it has been shown that outdoor cats are most susceptible to this disease, especially male cats that fight with each other, because the main way feline FIV is transmitted from one cat to another is through bites. There is no evidence whatsoever at this writing that FIV can be passed from a cat to any other species. It's important if you're adopting a cat from a shelter to know his or her history and if there are unanswered questions about where the cat came from, have the animal tested before bringing it into an environment with other cats. As noted above, a cat with feline FIV can go for a long time without showing symptoms, thus testing is the only way to know for sure. Your veterinarian can do a blood test and analyze the results, checking for FIV antibodies. My personal experience coincides with what experts say about this disease and that is that given veterinarian-prescribed treatment and provided with a comfortable indoor living arrangement, a cat with FIV can often live for years with this disease before suffering chronic symptoms. As noted, one of the main problems cats with feline FIV face is a weakened immune system that then puts them at risk of contracting secondary infections, some of which may be life-threatening. Also, an infected cat may develop cancer or kidney failure or other fatal illnesses and diseases. Obviously, a cat infected with FIV will need to be quarantined from other cats. These can be accomplished by allowing the cat to be the only pet in an indoor environment. Remember one time outside in a fight with another cat is all it takes to spread this horrific disease. The best prevention for contracting FIV is to spay or neuter all your pets and keep cats indoors.